Every once in awhile mediocrity comes along on 4 wheels and tries to capture buyers. That was the Endeavor. 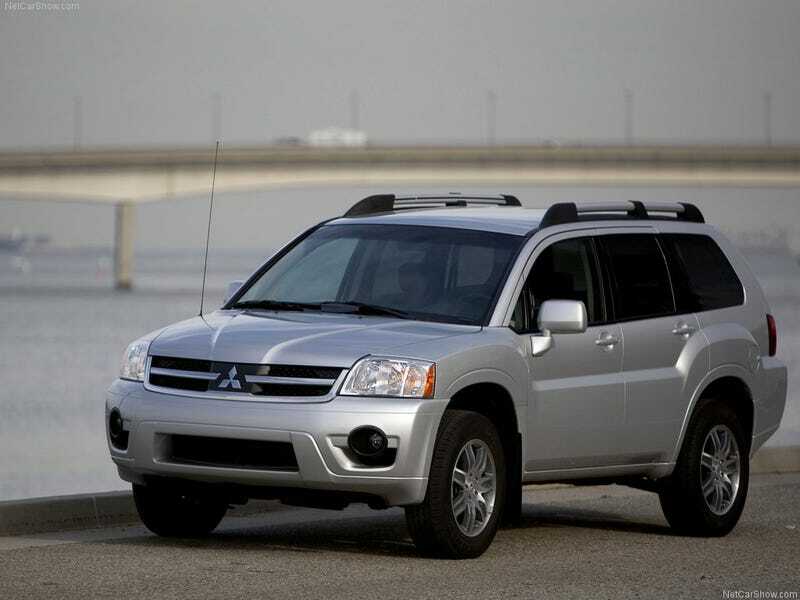 Conceived under Mitsubishi’s “Project America” program that was supposed to bring vehicles to market specifically for North America, it was produced from ‘03-’11, a surprising run. The origins for the Endeavor can be traced back to the SSU concept from ‘99. Making its debut at the NAIAS, it was a weird but tough looking SUV powered by a twin turbo 2.5 V6 putting out 310 horses to all 4 wheels. You can kind of see the inspiration for the production Endeavor in the front grill, but that’s where the similarities end. When it debuted for the ‘04 model year, it came riding on Mitsubishi’s PS platform, which also underpinned the Galant and Eclispe. Of course there was no twin turbo V6 here. It came with a 3.8 V6 that initially put out 215 horses. That power was put through an ancient 4 speed auto throughout its run. That was raised to 225 in ‘11 but by that time it was going away so it didn’t matter. It had good initial reviews, with some publications saying that it was just what Mitsu needed to take on the likes of offerings like the Pilot. They had high hopes for sales as well. They wanted to move 80,000 a year. But they never came close. They sold just under 49 thousand the first year then sales fell off every year after that with it dropping to just 19,448 its second year on the market. Some think that the lack of a 3rd row is what kept buyers away. I think its that along with the ancient drive train. But we will never know since the Outlander effectively replaced this.